Welcome to the PlanetWater website. Many of you have visited this page for years as PlanetWater has been the air to water outreach of W.B.N. 's Mission of Mending the Sacred Hoop of Life and bringing forward viable Solutions to such things as the Global Water Crisis by recommending and making available water generators which provide drinking water when there is no water available otherwise or where the water is compromised or the municipal water system is down. Since 2007, you and others have come to this site to find the best water generators available right now on this Planet. You know that PlanetWater represents and makes available the best in air to water generation. Well, the Air to Water Business is despite its humanitarian nature (bringing the best, clean, water to people who have to have water to live and face water shortages), has been fraught with intrigue, corporate theft, and out and out nastiness. So, having been in this field with my late husband, Professor Dr. James Donald Vagarasoto II since 2007 (who gave me an honorary doctorate in physics (kind of him)), I have come to the heart of the matter and found the person who holds the patents to air to water technology had technology stolen from him (literally: machines stolen from his lab and sent to China, Canada and other places where people formed companies using his machines as the template and never paid him a dime) and the company we previously had manufacture water generators for us with our corrections to their systems was one of the companies that received that stolen machine from the Real Inventor. Well when I learned that the core machine we were using was stolen from Terry LeBleu I put the brakes on totally as far as any longer selling the machines previously made for us OEM in China and sold under the name PlanetWater. Besides that, I'd already determined as I moved forward after Dr. Vagarasoto's death in December of 2013, that importing from China imposes a situation where machines manufactured in China cost more in freight than the machines themselves and thus are over $1,000 and our goal is to make machines seriously affordable; secondly, my late husband, Dr. Vagarasoto II had the means to upgrade those units made for us in China to be Ultras and eliminate the bacterial contamination that plagues the Chinese units that are sold in the U.S. and around the world by a variety of companies. Not naming names here. His protege who knows how to do that upgrade and could enable us to in good conscience sell Ultra machines made for us by that Chinese manufacturer does not have the time to create the template model we would use. I couldn't tell you I was selling you an Ultra when it didn't have Dr. Vagarasoto's 'secret upgrade' he shared with customers and not with the Chinese manufacturer so the manufacturer didn't just steal the upgrade and give us no royalties for the technology improvement like they apparently stole the original machine they've based their company on. Oops. Add that to what I learned and I stopped offering those machines, hence their removal from the PlanetWater website. The Gentleman whose machines I now can totally clean-conscience recommend to you to get a water generator from is Terry LeBleu of DroughtMasters.net and if you call me (775-304-4071, 8 to 5 Pacific time, Monday through Thursday), I'd be happy to answer your questions and introduce you to Terry and his machines. 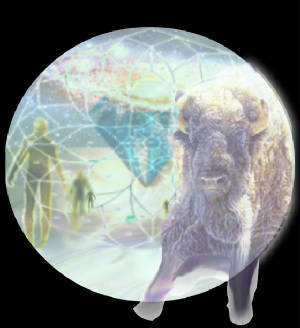 If you go in directly through Droughtmasters.net when you order tell him Lisa from White Buffalo Nation sent you and it will support the White Buffalo Nation's S.L.O.P.E. (Save/Sustain Life on Planet Earth) EARTH AID Mission. Also, we have become renowned over the years for Dr. Vagarasoto's water generating systems that can make 35,000 gallons a day. The base models we use for those machines are made by a company who has become very difficult to work with and if you are interested in a Solution requiring hundreds of thousands of gallons of water a day or year, call me and we can discuss whether or not we can put a Solution together for you given the Technologies in our and our Affiliate's tool-boxes. In the past three years since Dr. Vagarasoto passed, I have been seeking out the best scientists around the world to build out and bring forward ideas Dr. Vagarasoto was espousing such as The T.O.P.S. Tropospheric Ocean Precipitation System and the perpetual hydrogen-water generator and I now have as the S.L.O.P.E. Science Team Consortium amazing people and companies with Solutions I will be putting forth on this website but some of which can be seen at http://wbnslope.weebly.com. Thank you for your patience in this transition. If you want to talk about your water generator needs or other Environmental Technology Solutions you need help with, we have thanks to our Team of Affiliated S.L.O.P.E. Solution Bearers the best most cutting-edge real science solutions now addressing all aspects of life, phone 775-304-4071 and/or send an email to whitebuffalonation@gmail.com and I'll be happy to consult and ensure you get the water generator or water solution you need. We're not just promoting water generators now either: we're promoting Primary Water, the water the Earth constantly makes inside Herself that is largely untapped and may be available to you. We're also a Distributor of Keshe Technology, and represent other Zero E Energy Technology Inventors you'll be hearing more about. Thank you again for visiting our site and we look forward to helping you make your world and the greater world a happy place to live. The water generators we stand behind in good conscience: affordable and great water from the air.